It’s safe to say that this particular photograph has crossed my line of vision dozens of times. Yesterday was the day I finally saw it. See it? 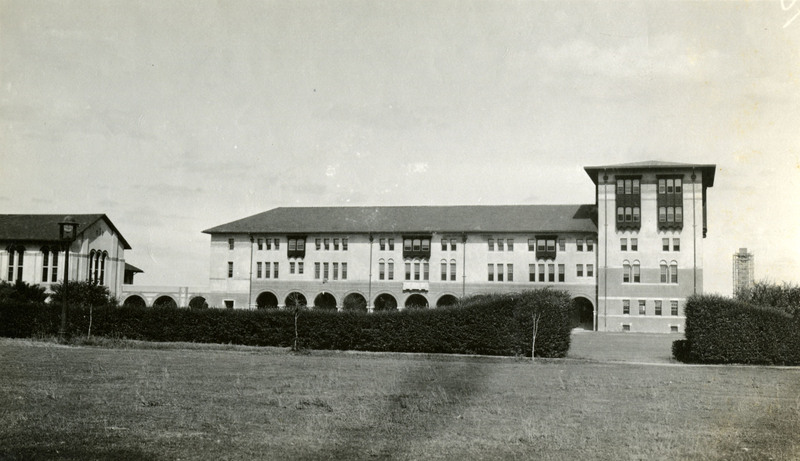 It’s the dorms from Main Street, undated but the hedges look big enough for it to be the ’20s. 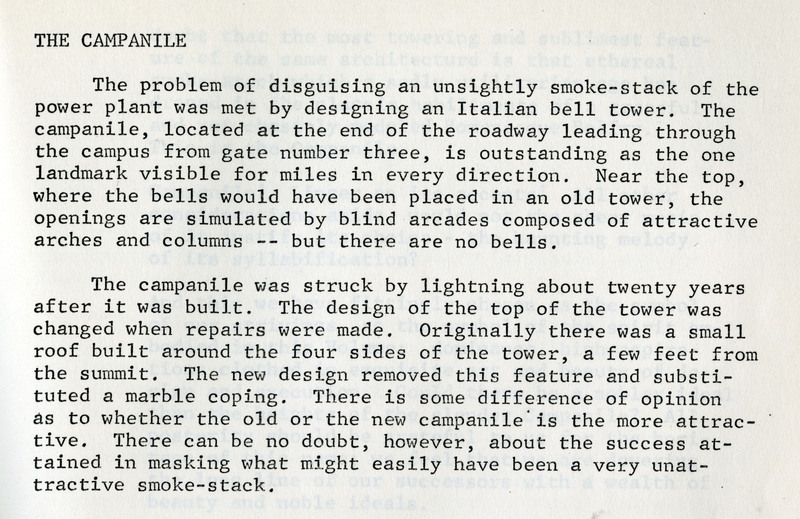 But it’s the campanile that I’d been missing–it’s in scaffolding all the way up. McCants doesn’t say precisely what year this happened, but it should be easy enough to dig that up. (Too busy today). I generally like to have an opinion about these matters but in all honesty I don’t think it really makes much difference. 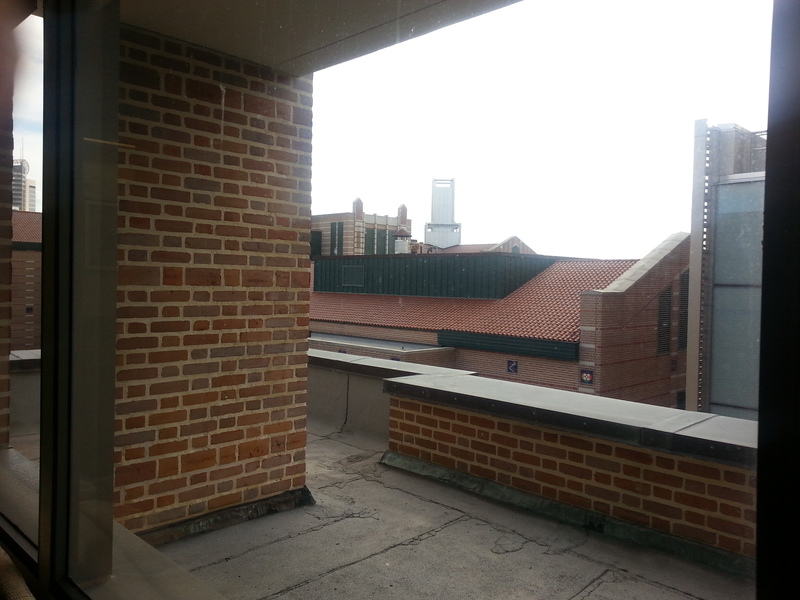 Herman Brown 4th floor, corner office? Herman Brown, 4th floor, lounge area right next to the corner office. I didn’t think anyone would get this. 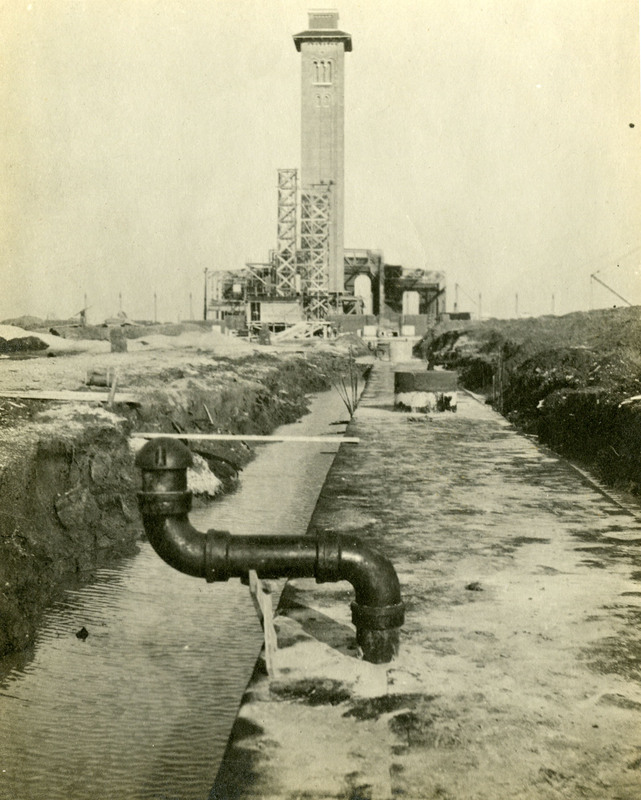 I am puzzled by the cast iron pipe projecting out of the top of the utility tunnel in the foreground of the second photo. This type of pipe is normally used for drainage, but I do not remember any drain pipes in the tunnels. So, I am assuming it is a vent of some sort. It occupies a prominent position in the composition of the photo. I am trying to remember what was below that spot, but nothing special comes to mind. No lightening protection for the tower until it had been struck? 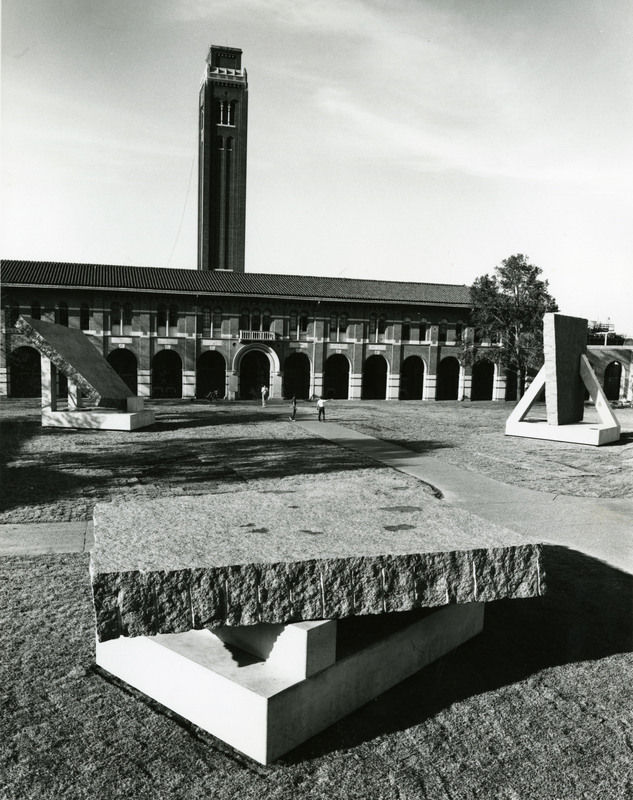 Per Stephen Fox’s Campus Guide, the roof near the top of the Campanile was removed in 1930.